Made in the U.S.A.Fits almost all full size, mid size and mini pickups. Made in the U.S.A.Fits almost all full size, mid size and mini pickups. A light duty rack that will carry up to 250 pounds. Bolt on bed pockets allow easy use and removal of tubular uprights. 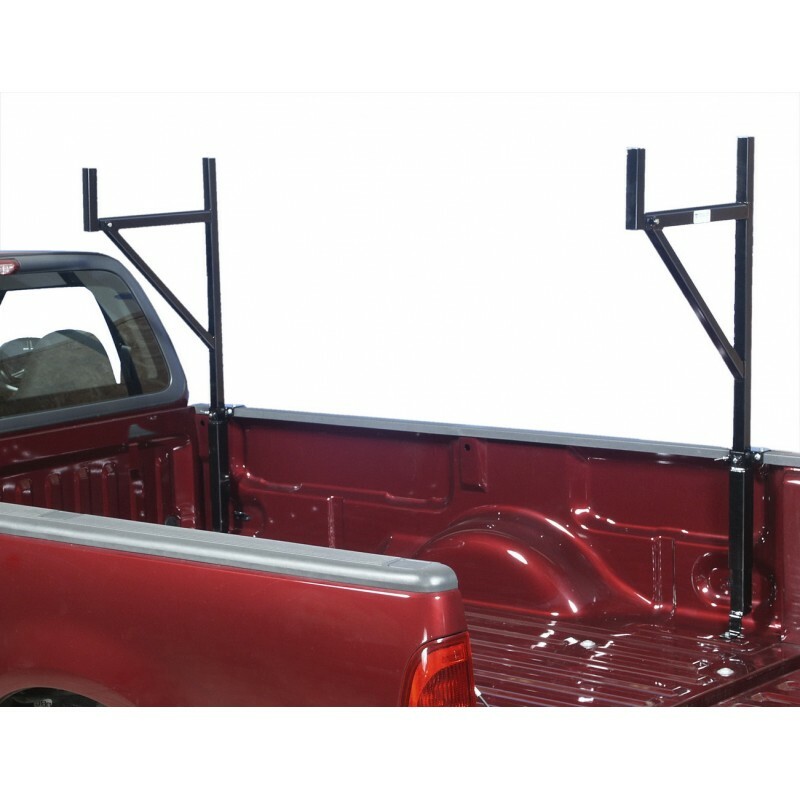 When not needed, tubular uprights can be stored in the truck bed or garage. Simply drop the tubular uprights into the bed pockets for quick and easy hauling.The horizontal bar that carries your cargo can be extended from 19" to 36". Finished with a gloss black powder coating for years of durable service. Comes complete with all assembly and installation hardware and instructions. Supplied in pairs.